Chinese President Ki Jinping left as quickly as he arrived, but not before inking deals worth $46 billion – an eye popping sum. For Pakistan, this investment promises to deliver critical energy and infrastructure projects. This is a huge achievement for Nawaz Sharif, who had been facing concerns that the nation’s energy crisis could bring about the government’s premature demise. The Chinese premier’s visit and the important investments that he brought have received high praise and appreciation, and deservedly so. However we should not allow our gratitude get in the way of our ability to think rationally. Once the excitement wears off, do we know what we’re really getting? While there has been no shortage of reporting on the $46 billion agreement, there has been a significant lack of details. In researching this, I stumbled across one article that may explain why. This is actually an article from several months ago when the deal was actually negotiated, and it details exactly what each side gets. As we know, Pakistan gets much needed improvement in energy infrastructure. What China gets for their investment? They actually own it all. The Chinese government and banks will finance Chinese companies to build $45.6 billion worth of energy and infrastructure projects in Pakistan over the next six years, according to new details of the deal seen by Reuters on Friday. The Chinese companies will be able to operate the projects as profit-making entities, according to the deal signed by Prime Minister Nawaz Sharif during a visit to China earlier this month. Pakistan is getting new energy infrastructure, but China will own and operate that infrastructure at a profit. In other words, what’s in it for us is that we get to buy Chinese energy. This has some economic analysts worried that instead of building the foundation of a strong economy, Pakistan is becoming a Chinese colony. “I think the Chinese aid is not for free. 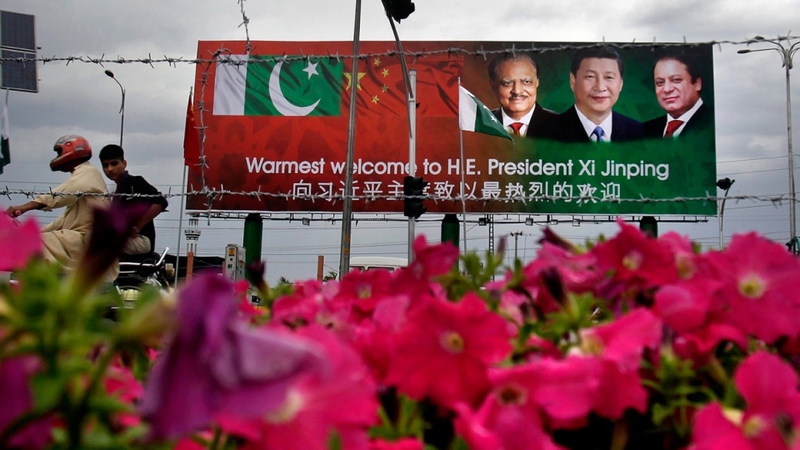 Pakistan’s economy is not that big, so Beijing will now take over most of our income-generating sectors,” [says development analyst, Maqsood Ahmad Jan]. In addition to CPEC projects, China has also been sold the rights to operate Gwadar port for next 40 years. In order to facilitate this, Pakistan Army has created an new division dedicated to the defence of Chinese citizens in Pakistan. All of this has been arranged with the hopes that increased energy capacity will finally unleash our domestic economic potential that has been dormant for so long. I pray that this is true, but I can’t help but think about the fact that soon after the Chinese President exited the country, the lights went out once again in Islamabad. This entry was posted in Blogs and tagged China, CPEC, economics, energy, gwadar by Mahmood Adeel. Bookmark the permalink.